In this post, you will find everything there is to know about the Software updates for Go! Go! Kokopolo 3D: Space Recipe for Disaster on the Nintendo 3DS (originally released on February 23rd in North America, and March March 30th in Europe). How to download updates for Go! Go! 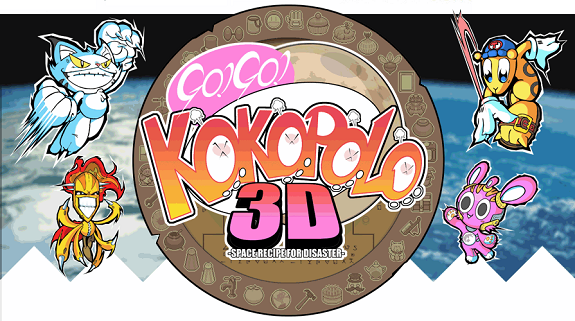 Kokopolo 3D: Space Recipe for Disaster for the Nintendo 3DS? Thanks Joe Merrick for the English patch notes.